The arcade game bundle called Papa’s Games is very addictive and fun for all ages. This game package includes 17 fun, different and entertaining games. 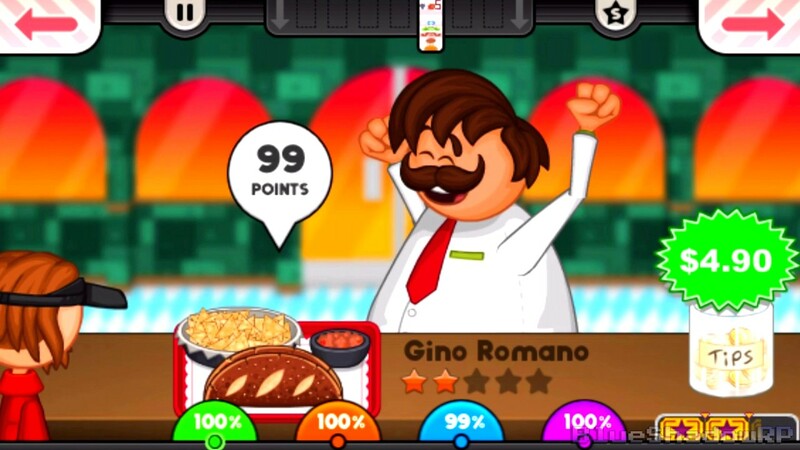 These games all revolve around preparing food in a restaurant-style atmosphere. A sample of these games involves making foods like pizza, burgers, donuts, and tacos, as well as many other foods. A pizza game called Papa’s Pizzeria involves teaching gamers how to make various delicious types of pizzas in a timely fashion. The game rules are as follows, there are four stations in which the chosen chef works. These stations include taking orders, toppings, baking, and cutting. The toppings include delicious and tasty vegetables, cheese and other assorted ingredients. As the days go by, the customer orders come in faster and accomplishing these tasks in all the stations gets progressively harder. The goal of this game is to stick to each consumer’s order and not burn the pizzas. This game is fun, challenging and entertaining. Another arcade game called Papa’s Burgeria is another one of Papa’s Games that teaches everything about how to cook burgers in a fun, engaging way. There are three different stations in this game which include the order station, the grill station, and the build station. After the order is taken, the burger is then grilled. And then sent off to the building station where lettuce, tomatoes, onions, sauce, and cheese are added to the burger. As the game goes on it gets more challenging as more orders are taken and the same amount of tasks need to be accomplished quicker and just as accurate. The goal of all of these games is to please the customers and create well-cooked food that is tasty and delicious. The donut game called Papa’s Donuteria is another restaurant-style game that teaches participants how to cook tasty and crispy donuts. In this game, there are four stations which include taking the order, making the batter, frying the donuts in oil, then adding sprinkles and nut toppings. As one gets higher in the game more orders are taken faster which makes the tasks more challenging and exciting. The goal of this game is not to burn the donuts and make the customers pleased. The taco game called Papa’s Taco Mio is another cafe style game where the player learns how to make delicious and yummy tacos. This game consists of three stations which include the order station, the grill station, and the building station. Customer orders are taken. Then the meat is grilled. And finally, the toppings are added like cheese, tomatoes, and onions. Overall this is just a sample of these fun, challenging and entertaining games. Papa’s Games are a must see if someone enjoys cooking and entertaining.